Hartford, CT - CT & W MA Chapter of SIOR Announce Results of Semi-Annual CRE Survey: The Connecticut/ Western Massachusetts chapter of SIOR announced the results of its semi-annual membership survey of commercial real estate market conditions. The survey is based on market activity for the period July 2018 through December 2018 within Connecticut and western Massachusetts. Market activity was healthy and future expectations are weighted towards stable or improving market conditions with limited expectations of declines. The industrial sector continues to have a more favorable outlook than the office sector which has lagged behind. Results for the office sector are mixed which suggests differing rates of progress in the sub-markets. 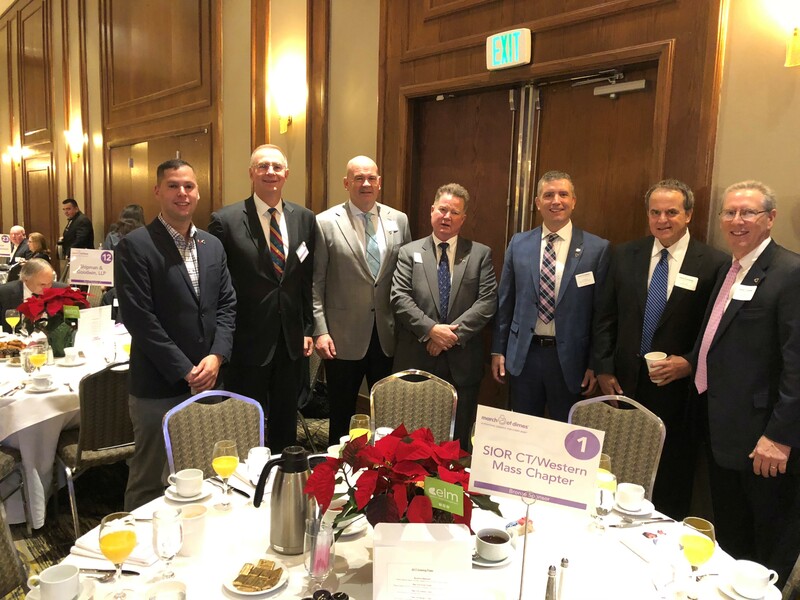 Stamford, CT – CT & W MA Chapter SIOR Sponsor March Of Dimes Real Estate Award Breakfast - For the third year in a row, ten members of the Connecticut/Western Massachusetts Chapter of the Society of Industrial & Office Realtors attended the Fairfield County Real Estate Award Breakfast held at the Stamford Hilton. The Chapter was proud once again to be a sponsor at one of the premier real estate events in Fairfield County. 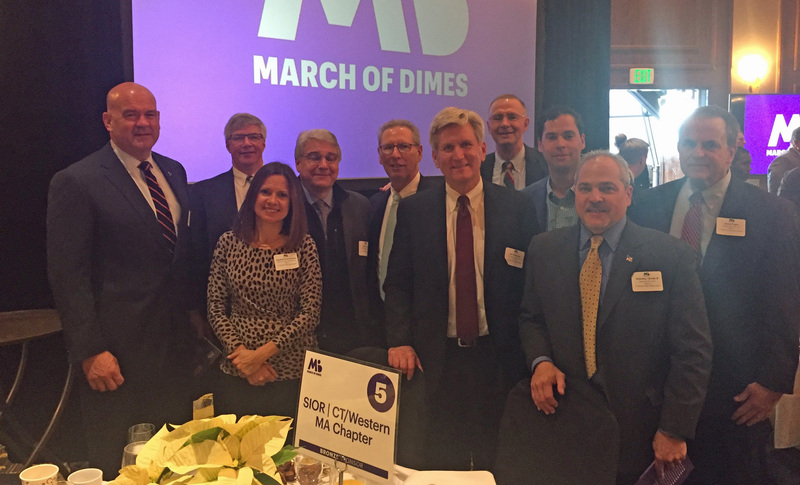 With 750 professionals in attendance, over $400,000 was raised, directly benefiting March of Dimes. This year's award honoree was Ed Tonnessen of Jones Lang LaSalle. Michael Guidicelli, Tim Breda, and David Fugitt. Darien, CT – CT & W MA Chapter SIOR holds it Winter Meeting - Twenty-two Connecticut/western Massachusetts SIOR Chapter members, guests, and sponsors recently held their winter holiday meeting at Woodway Country Club. R.D. Scinto, Inc. graciously sponsored the event which included a regular business meeting, a Mexican themed dinner and drinks, and bowling. October - Several members of the Connecticut/Western Massachusetts Chapter of SIOR recently attended the Fall World Conference held at the Sheraton Downtown Denver. The Chapter was delighted to sponsor University of Connecticut senior majoring in real estate, Caci Rhuda, to attend the conference. Caci joined a number of other select student real estate majors sponsored by other chapters from universities around the country and the United Kingdom, along with 850 SIOR members, sponsors, and guests at the conference. One of the highlights of the conference occurred during the Opening General Session. Mark Duclos, SIOR Global President Elect and Chapter member, moderated a lively discussion between CNN’s political commentator Paul Begala and Mark McKinnon, creator and co-host of Showtime’s The Circus. 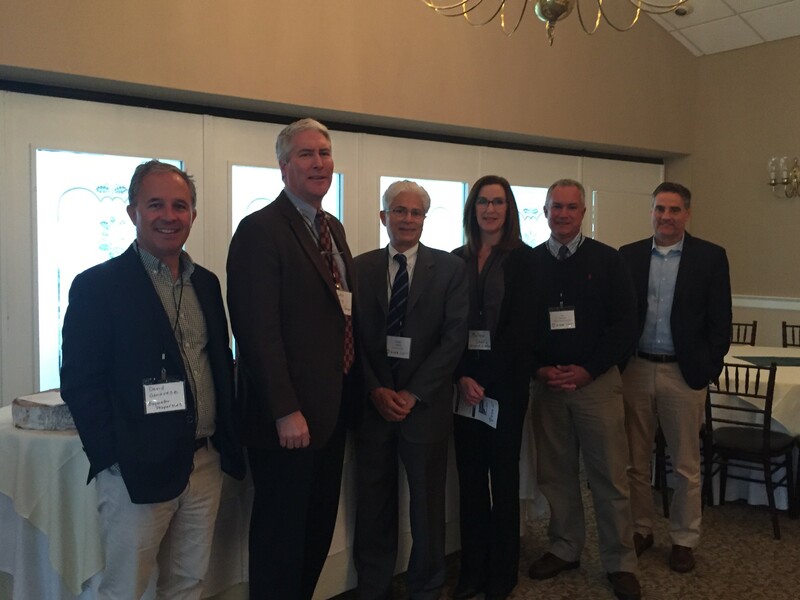 Wallingford, CT – The Connecticut/Western Massachusetts Chapter of SIOR recently sponsored an industry breakfast panel at The Farms Country Club, on current and future trends in construction. David Genovese from Baywater Properties moderated a panel that included Scott Breig, Whiting Turner Construction; Melissa Sheffy, Network Interiors, Inc.; Guido Petra, Petra Construction; Phil Clark, Claris Construction; and Jim Rotundo, Godfrey-Hoffman Associates. Topics discussed ranged from shortages of labor, greater construction costs, increasing efficiencies by employing prefabrication initiatives, and the use of technology – 3D imaging and using interactive software to create concept designs. Over 40 real estate professionals were in attendance at the event graciously sponsored by the Town of Wallingford. September, 2018: CT & W MA Chapter Holds Annual Meeting at the New Haven Country Club. 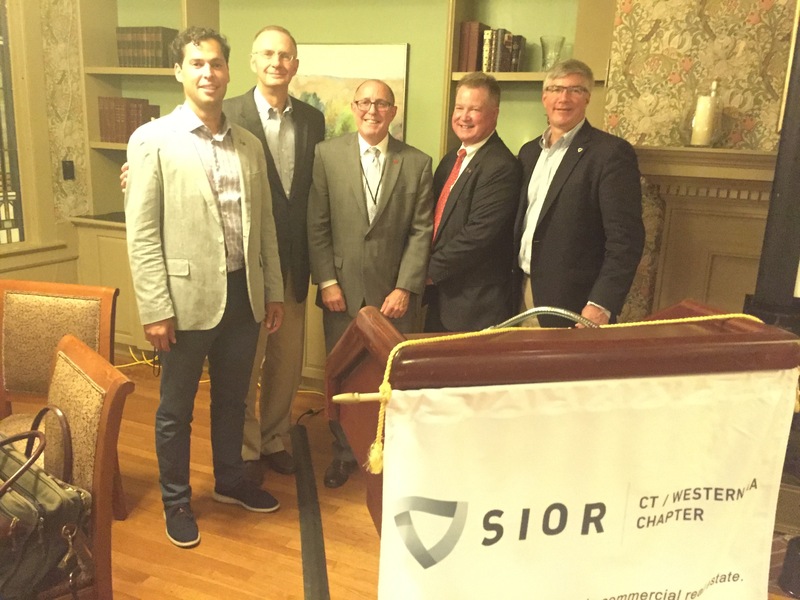 The Connecticut/ Western Massachusetts chapter of SIOR held its annual meeting on September 20, 2018. At the meeting, the 2018-2020 officer slate was elected and inducted: President - Art Ross, Vice-President - Michael Guidicelli, Secretary-Treasurer - Phil Gagnon. 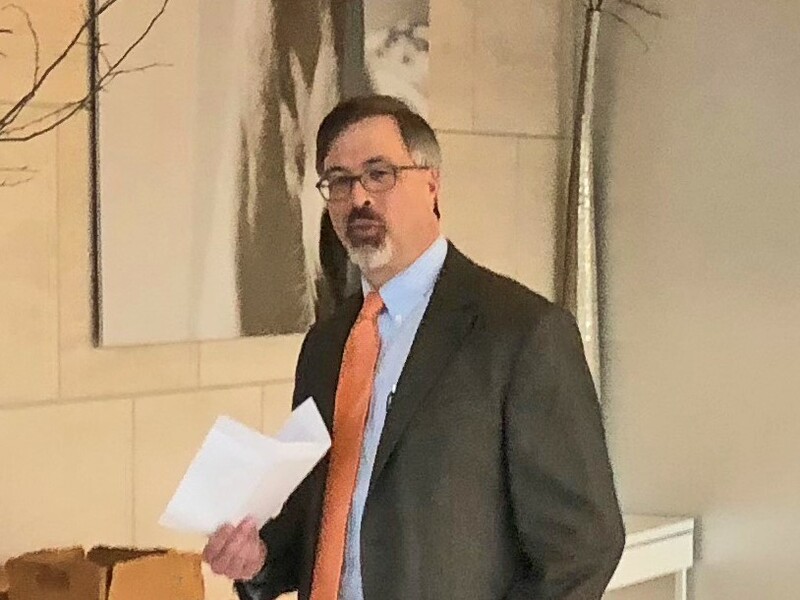 Following the dinner, Joe Caruso, Director of Real Estate, Yale New Haven Health System, discussed commercial real estate aspects of the health care system. August, 2018: CT & W MA Chapter of SIOR Announce Results of Semi-Annual CRE Survey: The Connecticut/ Western Massachusetts chapter of SIOR announced the results of its semi-annual membership survey of commercial real estate market conditions. The survey is based on market activity for the period January 2018 through June 2018 within Connecticut and western Massachusetts. Responses were positive and optimistic but they indicate a slowdown in momentum in early 2018. Industrial continues to demonstrate greater strength than the office sector. The results also reflect some individual markets that continue to lag behind. Responses regarding overall market conditions were split between improvement (38%), decline (32%) and no change (32%). 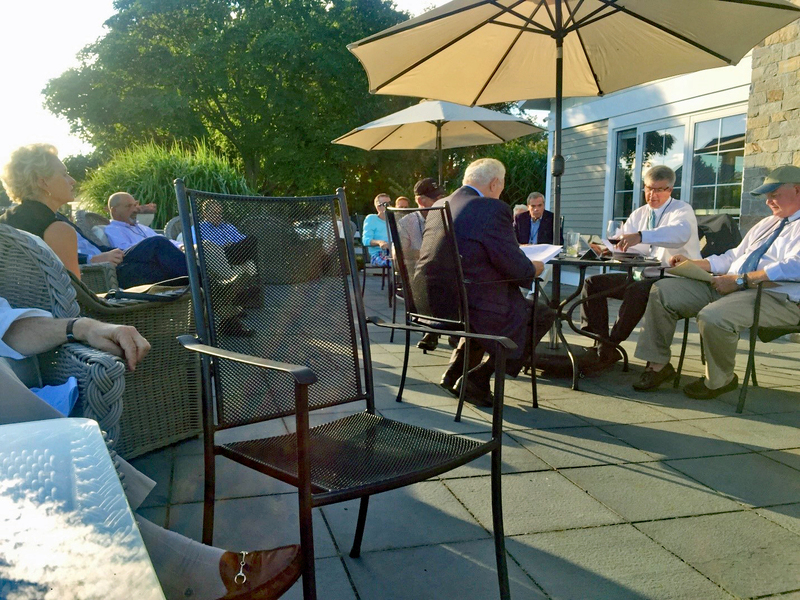 Old Saybrook: The Connecticut/Western Massachusetts Chapter of the Society of Industrial and Office Realtors recently held its summer meeting at the Saybrook Point Inn & Spa. Following a regular business meeting and dinner, the members shared a variety of market updates and overviews on a few interesting transactions from throughout the region. John Jensen, Ed Godin, Tom Hill, Frosty Smith, Tom Pajolek,, Art Ross, John Reed, Carl Russell, Mark Duclos, and Dan Barber. 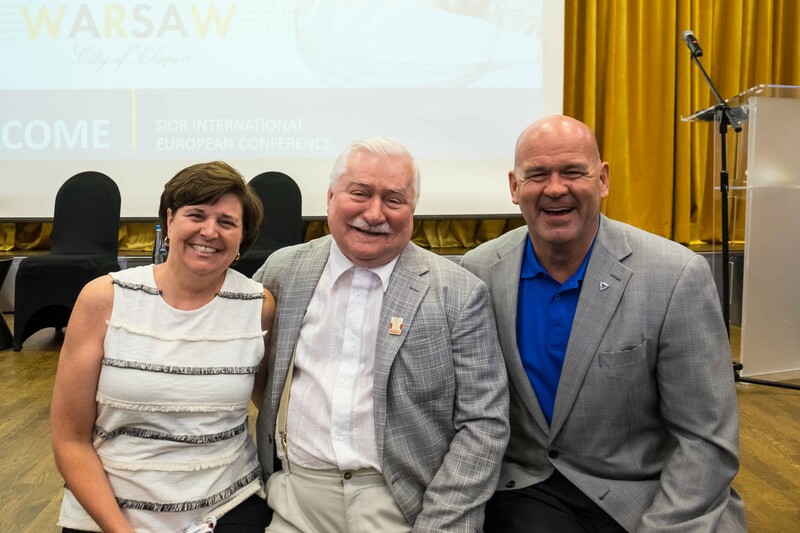 Warsaw, Poland - Chapter members Frank Hird, Mark Duclos, and their families attended the SIOR European Conference held late June in the City of Chopin, more commonly known as Warsaw. In addition to a variety of first class panels, speakers, and networking sessions; the keynote speaker was Lech Walesa, former President of Poland and co-founder of Solidarity and Nobel Peace Prize winner. Lisa Duclos (left) and Mark Duclos (right) share a warm moment with Lech Walesa following his talk. Held in early May, the Connecticut/ Western Massachusetts chapter of SIOR was pleased to be one of the sponsors for the UCONN Commercial Real Estate Alliance at the Hartford Marriott. The event attracted a sell-out crowd of 140 real estate professionals. The agenda consisted of an economic overview by Professor John L. Glascock, Director, UConn Center for Real Estate and Urban Economic Studies, followed a Connecticut real estate panel moderated by, Mike Goman, Goman + York, Property Advisors, LLC and concluded with a panel discussion moderated by Greg Bordonaro, Editor, Hartford Business Journal. 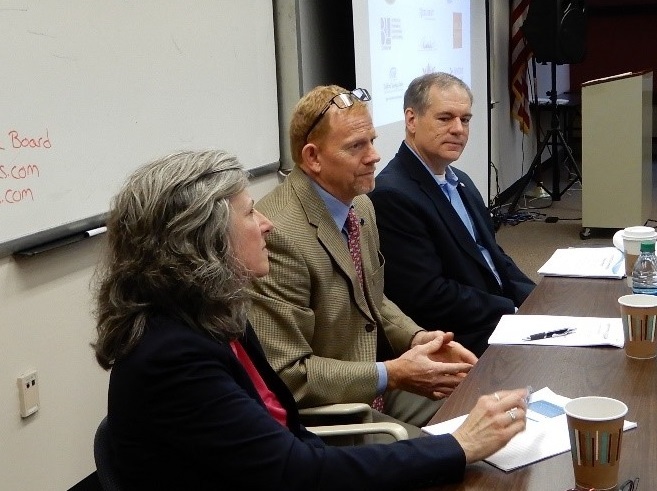 SIOR member Art Ross served on the panel discussion the industrial market. Two Chapter members were recently recognized at the UCONN Real Estate Center’s annual awards banquet. Nick Morizio, CRE, SIOR was presented with the Lifetime Achievement Award, honoring real estate professionals who have made sustained and meritorious contributions throughout their careers to the UCONN Real Estate program. Mark Duclos, CRE, SIOR received the Individual Partner of the Year award, which recognizes real estate professionals who have provided distinguished service to the UCONN Real Estate program and the real estate profession. John Glascock, Professor and Real Estate Center Director. Several members of the Connecticut/Western Massachusetts Chapter of SIOR recently attended the Spring Society of Industrial and Office Realtors World Conference at the Fairmont Hotel in Austin, TX. The chapter was also delighted at the opportunity to sponsor University of Connecticut senior majoring in real estate, Will Golonka, to attend and participate in the conference with over 850 SIORs and industry professionals. The Connecticut/Western Massachusetts chapter of SIOR recently held its quarterly Spring meeting at Il Palio Restaurant in Shelton, CT. The meeting guest speakers were Rob Scinto, who discussed his firm’s current real estate developments in Shelton and the region including Fairfield and Mark Barnhart, Economic Development Director in Fairfield, also spoke about recent initiatives in Fairfield particularly transit oriented developments in Lower Fairfield County. The chapter would like to extend its thanks to RD Scinto, Inc. for sponsoring the event. 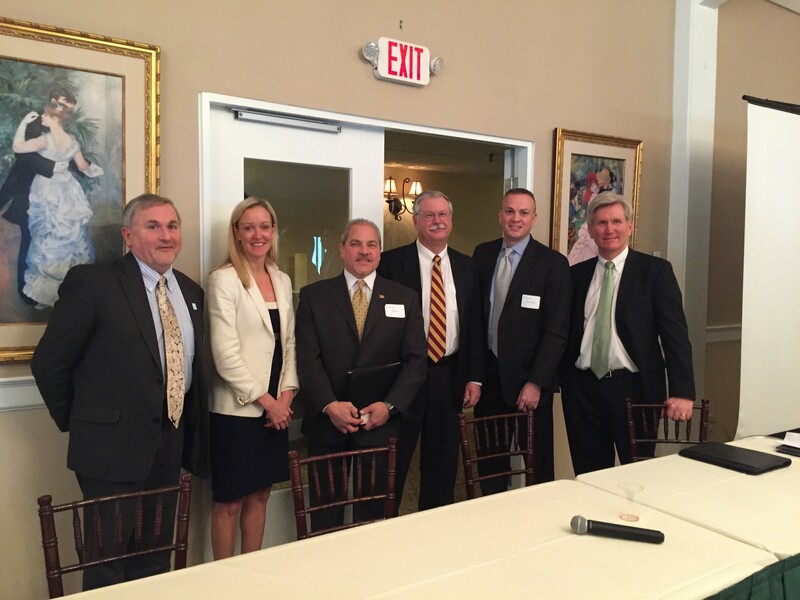 The Connecticut/ Western Massachusetts Chapter of SIOR hosted a breakfast finance panel at The Farms Country Club in Wallingford. The program, “Where to Get Dough”, the event featured industry experts representing all product types of commercial real estate lending in the regional market. 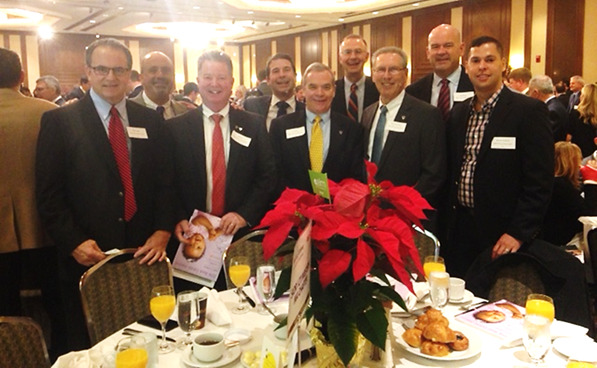 Over forty commercial real estate professionals were in attendance. L to R: Mark Cousineau, Jessica Bailey, Tim Breda, David Glissman, Steve Solecki and Pat Wellspeak. The Connecticut/ Western Massachusetts Chapter of SIOR announced the results of its semi-annual membership survey of commercial real estate market conditions. The survey is based on market activity for the period July through December 2017 within the region. SIOR survey results point to a continuation of the overall positive outlook established earlier in 2017. The industrial sector continues to outperform the office sector and overall the results indicate a market that is generally stable to improving although there is some negative outlook for the office sector. 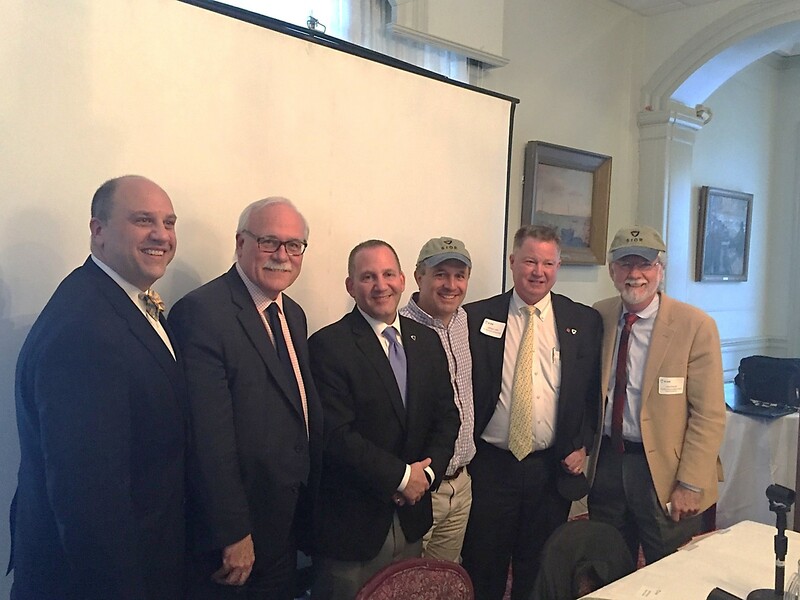 The Connecticut/ Western Massachusetts Chapter of SIOR & the Connecticut Chapter of CCIM held a joint CE session on October 3rd. Over 50 of the top dealmakers among both organizations attended the daylong event that consisted of environmental regulatory panel in the morning followed by a Legal Fair housing afternoon session. The chapters wish to recognize Sam Haydock, Principal with BL Companies; Bob Carr, Principal with Zuvic-Carr; and Pamela Elkow, Principal with Carmody Torrance Sandak & Hennessey LLP for the informative morning panel discussion and Eugene Marconi, legal counsel with BHHS for the always engaging and entertaining afternoon session. The sessions were sponsored by Ten-X. Hennessey LLP, Sam Haydock,BL Companies, Bob Carr, Zuvic-Carr. 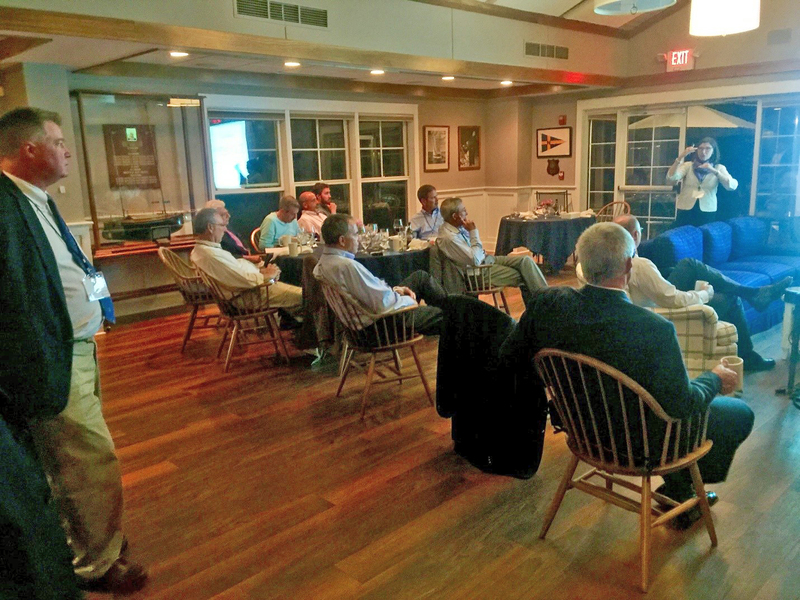 The Connecticut/ Western Massachusetts Chapter of SIOR held their fall business meeting at the well appointed Essex Yacht Club overlooking the Connecticut River. The meeting was followed by dinner and an economic presentation by CERC economist Alissa DeJonge. The Connecticut/ Western Massachusetts Chapter of SIOR announced the results of its semi-annual membership survey of commercial real estate market conditions. The survey is based on market activity for the period January through June 2017 within the region. SIOR member responses regarding market conditions during the first six months of 2017 were positive and continued the trend established in late 2016. The industrial market leads and survey results show limited to no concerns about future price declines. The office market is still sluggish with concerns noted about the potential for future price declines. Predictions for the remainder of 2017 indicate stability with 68% anticipating no change in market conditions and 32% indicating improvement. Members also reported details of recent significant transactions. 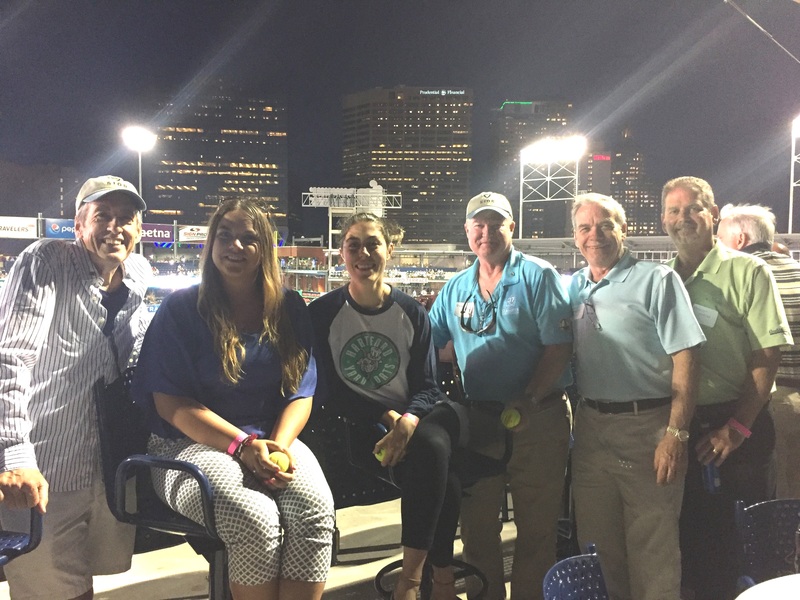 Hartford, CT: Approximately 30 members and guests of the Connecticut/Western Massachusetts Chapter of SIOR recently attended a Hartford Yard Goats game against the Trenton Thunder in the new Dunkin' Donuts Park. During the casual member meeting preceding the game, new Associate Members Tim Lescalleet of Griffin land Trust and Ralph DiCristofaro of ServPro of Enfield/Bloomfield were introduced and provided an overview of their firms. 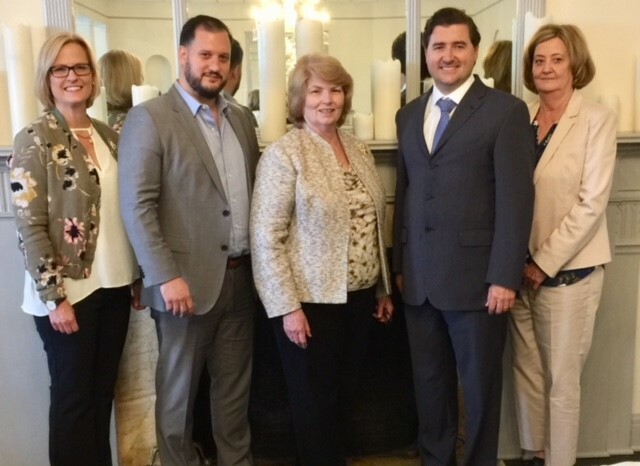 New Orleans, LA: Six members of the Connecticut/Western Massachusetts Chapter of the Society of Industrial and Office Realtors attended the Spring World Conference recently held at the Sheraton Hotel, in New Orleans’ French Quarter. During the conference a new slate of officers to serve the Society was elected. The Chapter is proud to announce the election of two of its members to national positions. 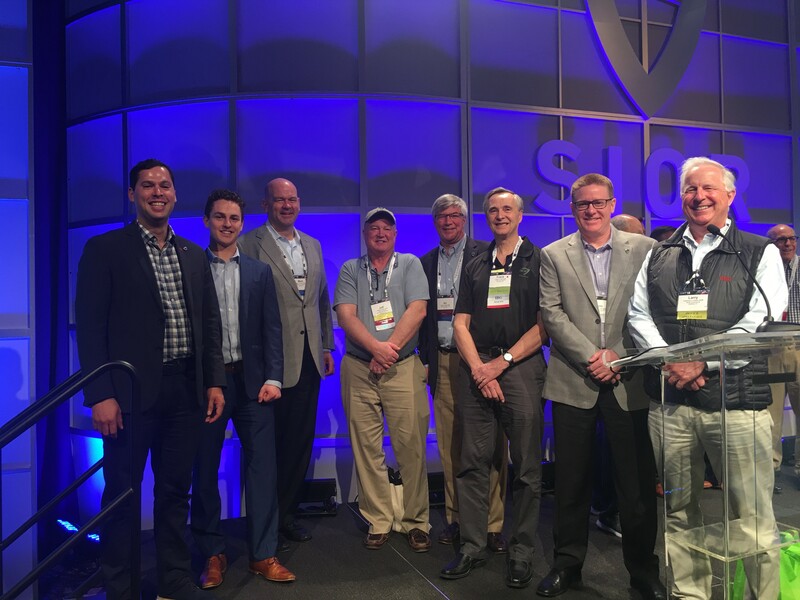 Mark Duclos, SIOR was elected as Vice President; after serving a one year term as VP, Mark will serve as President Elect for a year before stepping into the Global Presidency of SIOR in the fall of 2019. 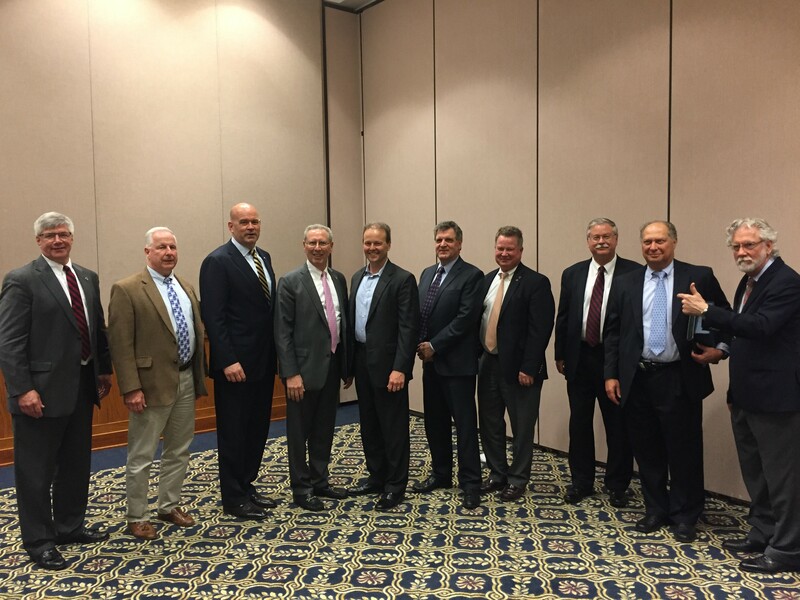 Additionally, Frank Hird, SIOR was elected to a two year terms as Regional Director of the Northeast Region. 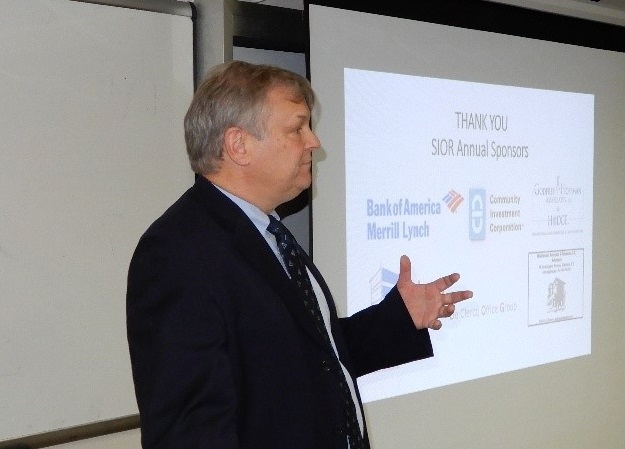 The Connecticut/Western Massachusetts Chapter of SIOR hosted a technology educational panel and discussion, in New Haven Connecticut on March 22nd. 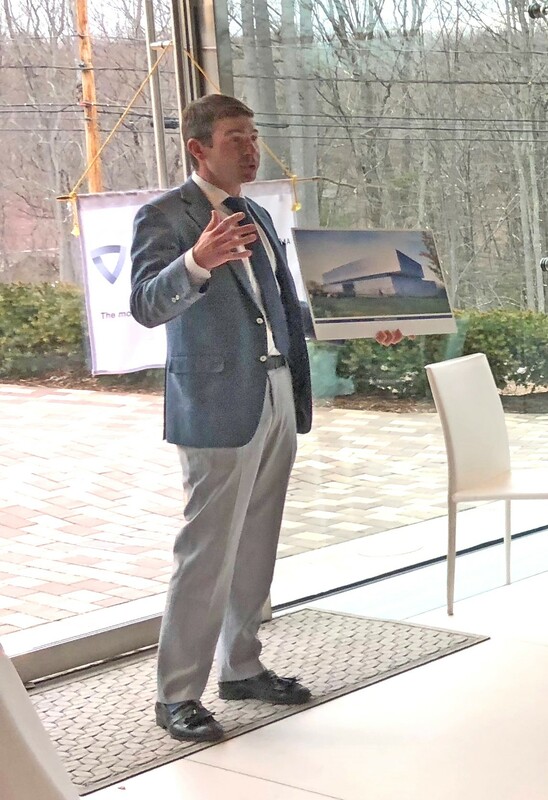 Fifty-five real estate professionals attended the event, including SIOR Chapter members, other commercial brokers, lenders, and attorneys from around Connecticut. The event featured SIOR Global President Geoff Kasselman, who provided a futuristic keynote presentation and then moderated a panel to comment on their diverse technology perspectives. The panelists included John Glascock, Professor & Director Center for Real Estate and Urban Economics, University of Connecticut; Robert Santy, President & CEO of the Connecticut Economic Resource Center, a public and utility partnership which provides demographic and related data along with real estate site information; Wayne D’Amico of Xceligent/CommercialSearch, an emerging commercial real estate data base service; and David Genovese founder of Baywater Properties a developer based in Darien, CT, who recently used social media promoting a project undergoing zoning approvals. 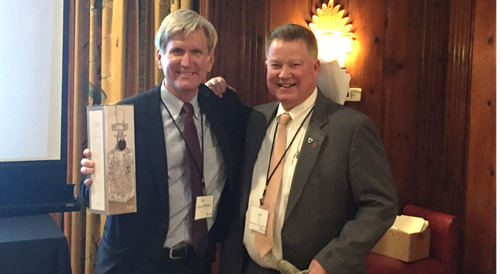 The Connecticut/ Western Massachusetts Chapter of SIOR recently held its quarterly membership meeting at the historic New Haven Lawn Club. The evening's speaker was Pat Wellspeak, a principal of the appraisal firm Wellspeak, Dugas & Kane who reviewed the commercial real estate market by sector and provided insights on future values and trends. The Connecticut/ Western Massachusetts Chapter of SIOR announced the results of its semi-annual membership survey of commercial real estate market conditions. The survey is based on market activity for the period July through December 2016 within the region. SIOR survey results point to a continuation of the positive trend established earlier in 2016. Responses have trended away from negative to either stable or improvement. In general, it indicates a market that continues to improve although the pace of improvement in the office sector is lagging behind the industrial sector. The Connecticut/Western Massachusetts Chapter of the Society of Industrial and Office Realtors (SIOR) is pleased to announce recent University of Connecticut Scholarship recipients for the 2016/2017 academic year. A total of $10,200 was awarded to six deserving students from UCONN’s School of Business, all majoring in Real Estate and Urban Economics. The scholarships are funded from the Chapter sponsored Samuel F. Pierson and Carl F. Traub scholarships, with matching dollars provided by The SIOR Foundation. 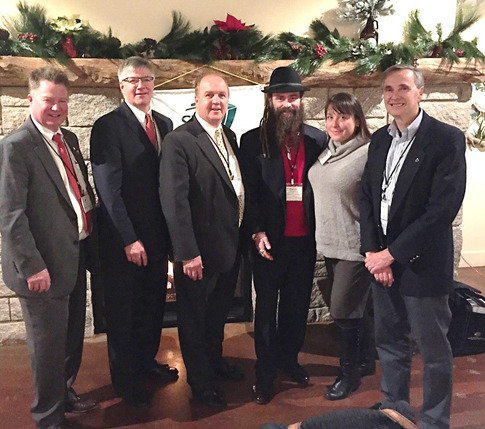 On December 12, 2016, The Connecticut/Western Massachusetts Chapter of The Society of Industrial and Office Realtors (SIOR) held its winter holiday meeting and dinner at The Stony Creek Brewery sponsored by Zuvic-Carr & Associates. Forty-two members and guests were in attendance; including the SIOR Regional Director for the Northeast Region, Dennis Hennessy, of COR Brokerage, Inc., Syracuse, NY and The New York/Downstate Chapter President Gabriel Silverstein, of Angelic Real Estate, New York City. 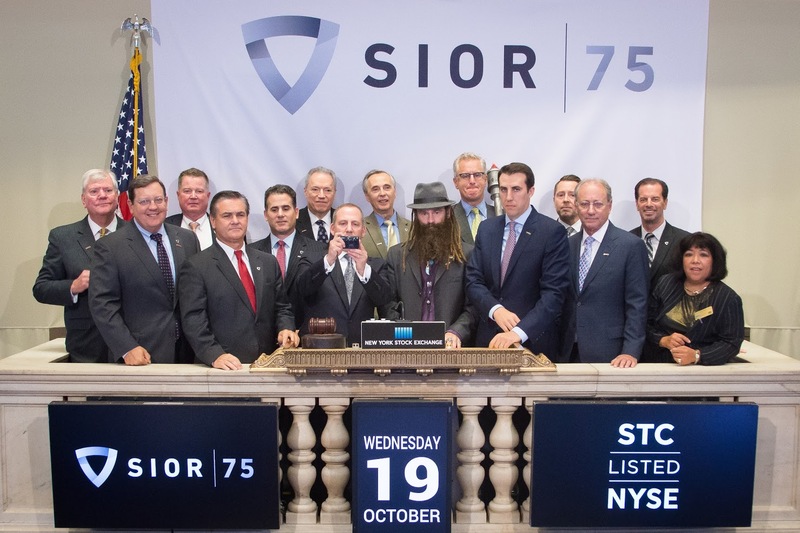 SIOR recently capped its 75th anniversary year with a record breaking conference in New York City. Over 30 CT & W MA SIOR members attended the event which featured top notch speakers like Tom, Brokaw, Rudy Giuliani and Eric Qualman as well as programs and speakers addressing the top commercial real estate issues of the day and the future. 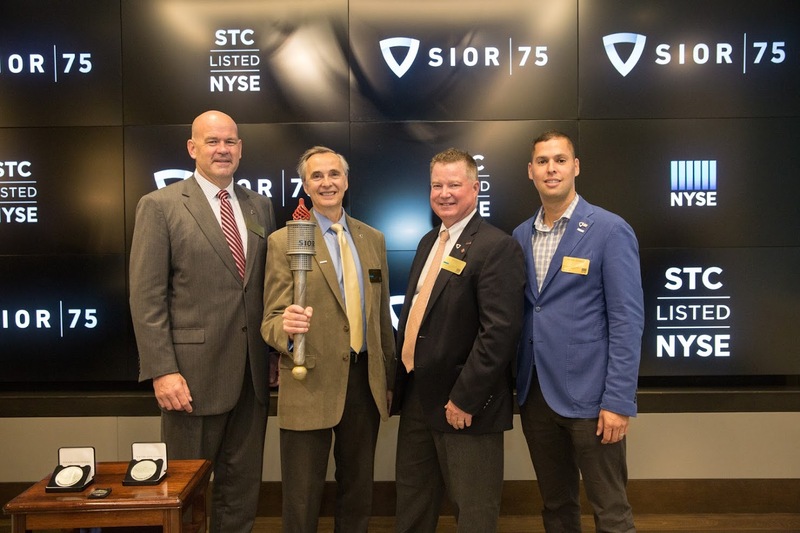 The following is a link to the event: SIOR Rings NYSE Opening Bell. The 75th anniversary celebration started at the SIOR Spring World Conference with a fireworks laden gala on the flight deck of the aircraft carrier Midway. At that time a symbolic torch began its worldwide tour of SIOR Chapters that ended with the CT & W MA Chapter and arrival in NYC. 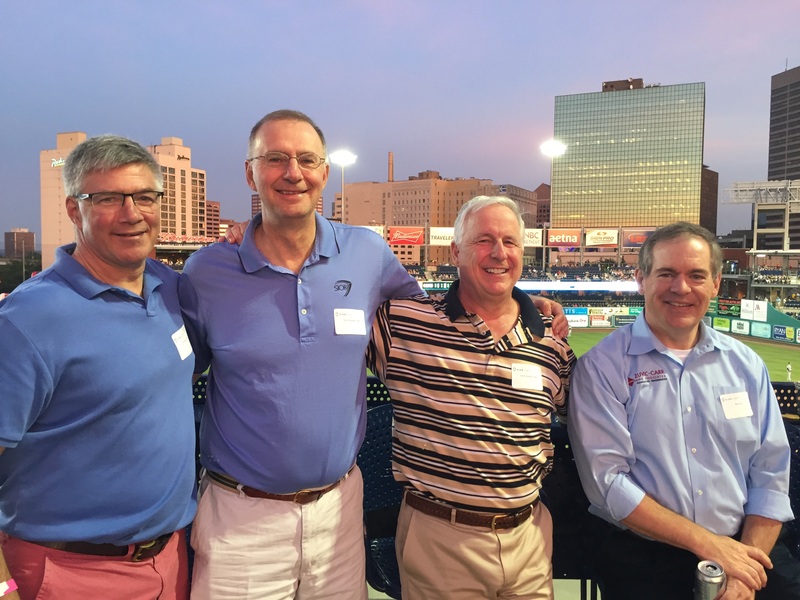 While with the Chapter, the torch highlighted projects including the new MGM Casino and Basketball Hall of Fame in Springfield MA and commercial/industrial developments from Hartford to Stamford illustrating the area's vibrancy and strength. The torch was then flown around the Statue of Liberty and Manhattan before its arrival at the conference. Crenshaw, performed original and cover rock as well as out-of-your-seat blues. The event raised over $8,000 to benefit the organization. 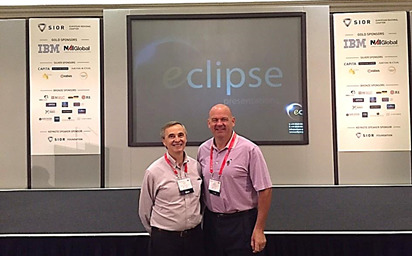 CT & W MA SIOR Chapter members Frank Hird, SIOR, Chapter president and Mark Duclos, SIOR, CLC Speaker attended the SIOR European Conference held in London.Sitting in investment workshops moderated by renowned real estate and financial leaders, and networking with European colleagues as the historic BREXIT votes were being tallied, created lasting memories of the conference for both Frank and Mark. 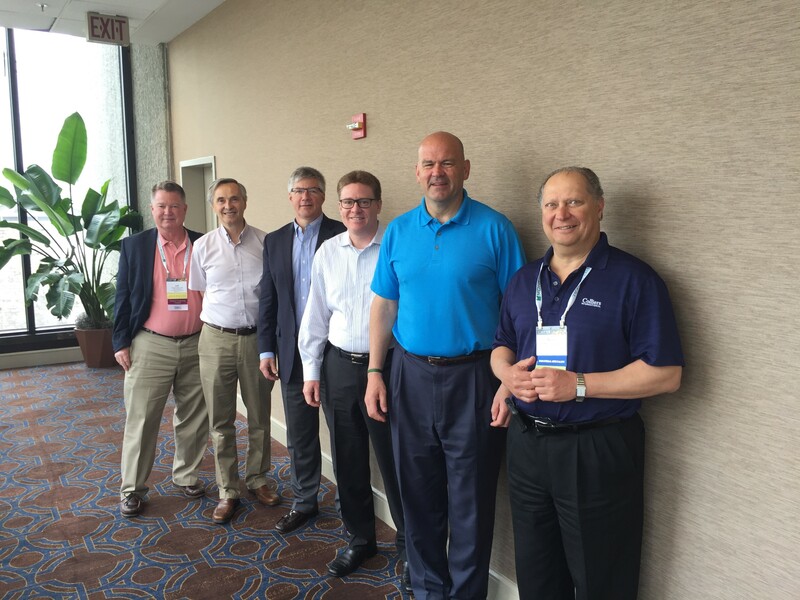 L to R - SIORs - Michael Guidicelli, Chapter VP Jeff Ryer, SIOR Speaker Mark Duclos, Art Ross, Chapter President Frank Hird, Larry Levere. Members of the Connecticut / Western Massachusetts Chapter of the Society of Industrial and Office Realtors attended the Spring World Conference, recently held at the Marriot Marquis Hotel in San Diego. Located on the San Diego Bay, in close proximity to the Gaslamp Quarter, Petco Park, and many other attractions this was the perfect location for the Society of Industrial and Office Realtors to celebrate its 75th Anniversary. 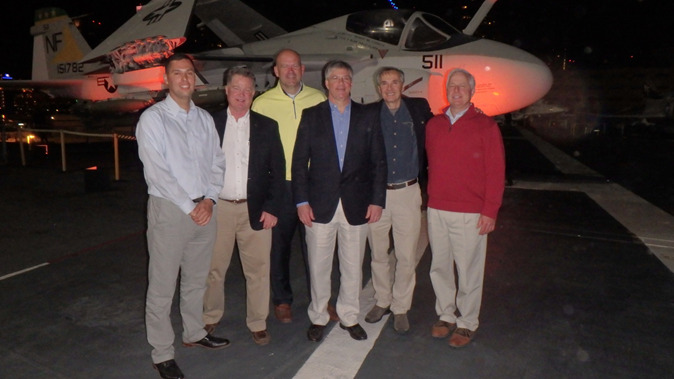 The highlight of the conference was the Panattoni 75th Anniversary Celebration Party aboard the USS Midway, culminating with fireworks over the flight deck. 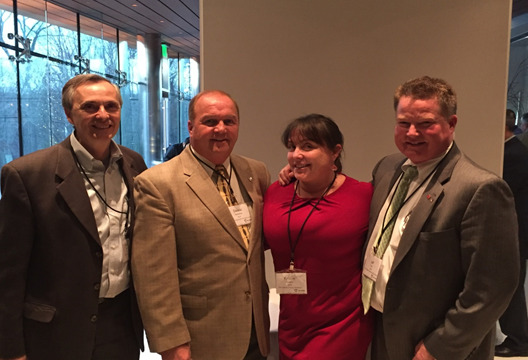 L to R: Frank Hird, SIOR, Chapter President, Dennis Hennessy, SIOR, SIOR Northeast Regional Director, Kristin Geenty, SIOR, Chapter Secretary/Treasurer and Jeff Ryer, SIOR, CCIM, Chapter Vice President. The Connecticut & Western Massachusetts Chapter of SIOR held their spring meeting on March 9, 2016 at Il Palio restaurant in Shelton CT. The event was sponsored by RD Scinto and Regional VP Dennis Hennessy attended and Tim Breda from Goedecke & Company spoke to the members and guests following dinner about capital markets and recent lending trends. Realtors (SIOR) is pleased to announce recent University of Connecticut Scholarship recipients for the 2015/2016 academic year. 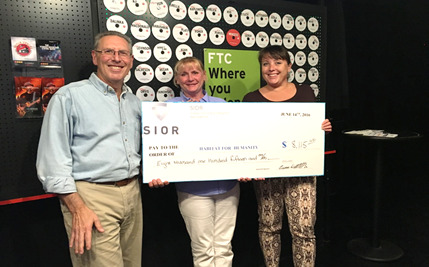 sponsored Samuel F. Pierson and Carl F. Traub scholarships, with matching dollars provided by The SIOR Foundation.